Update Thursday, November 19, 1:21 p.m.: The counter-protest outside the Nest has gained traction, with a crowd of about 30 people opposing the pro-life demonstration. The counter-protest is championed by GRSJ undergraduates, who “strongly believe in the right to choose,” according to their Facebook event for the protest. There are also unaffiliated students present, who are also protesting. This counter-protest was scheduled to run from 11 a.m. to 1 p.m., but is still ongoing at the time of publishing. Pro-life protesters gather outside the Nest. Several pro-life activists have set up posters and cones at the plaza outside of the Nest since 8 a.m. as part of their “abortion awareness project.” Since then, pro-choice supporters have set up in the same area, counter-protesting for the right of a woman to make choices in regards to her reproductive rights. Pro-life protests have been occurring on campus yearly approximately since 2001. 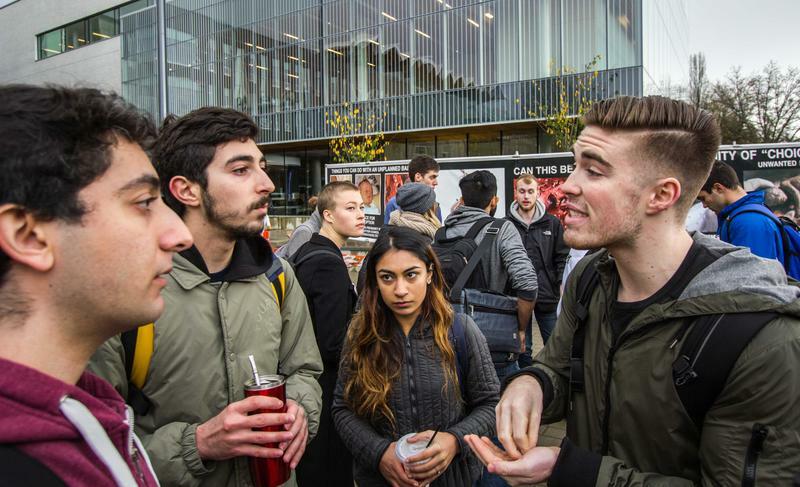 The last protest took place in early March of this year, and received substantial backlash from the UBC community, namely for its use of the large, triggering images on display. 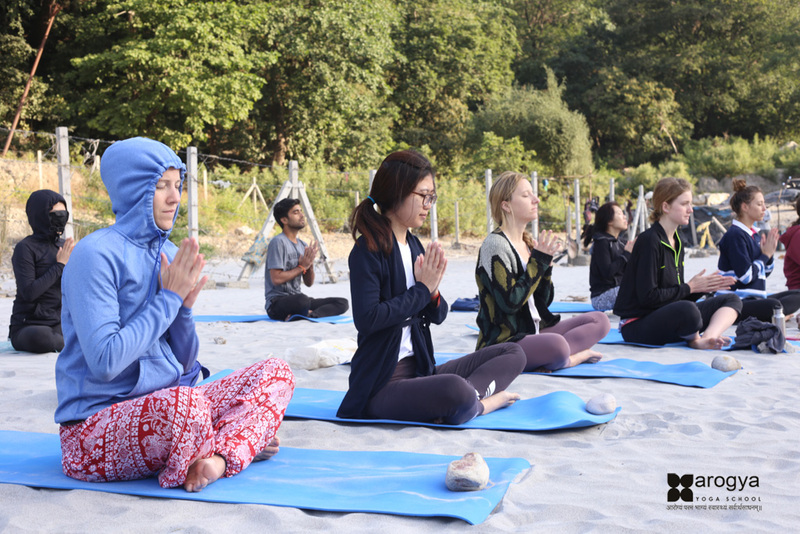 UBC Lifeline, the pro-life club on campus, put on the event in partnership with the National Campus Life Network and the Canadian Centre for Bioethical Reform (CCBR). 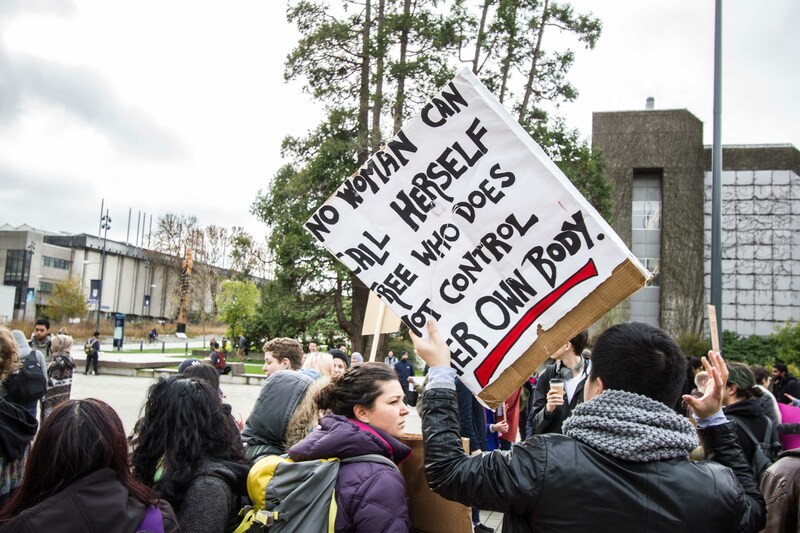 This year, UBC Lifeline is not putting up any images equating abortion to the genocide or the Holocaust, which was a major point of discontent within the counter-protests in March. “That [genocidal content] was such a huge distraction in the minds of those we were talking to. Because our goal is to talk about abortion as a human rights violation, we decided not to use them this year,” said Alex Vande Varuinhorst, a representative for the CCBR, on why the pro-life group decided to not use those images this time. There are, however, still about half a dozen large posters with graphic images of aborted fetuses and babies. “Every successful social reform movement of the past has never been successful by hiding injustice that is being inflicted. The images are disturbing — I’m not saying that they aren’t,” said De Souza on why the Lifeline club chooses to use images in their campaigns. The unaffiliated students that The Ubyssey interviewed exhibited mainly the same viewpoints as last year, noting that the pictures displayed were found to be inflammatory and disturbing. Suggested: Do graphic abortion protests actually work? 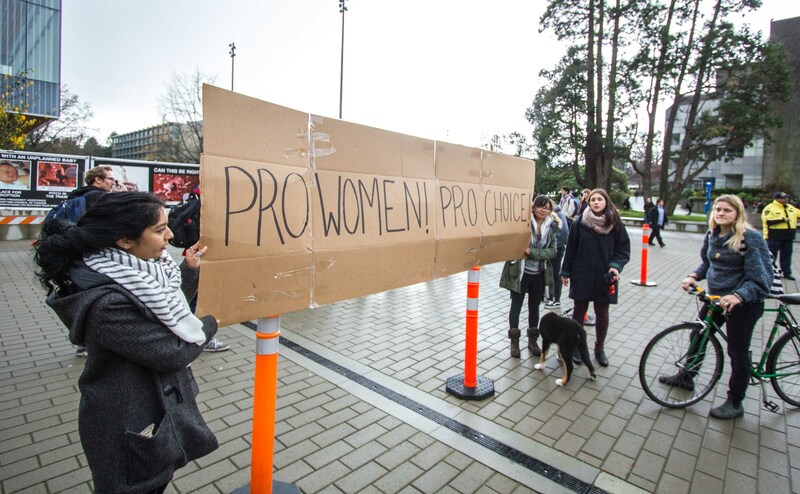 At the time of publication, several pro-choice students were holding up a large cardboard banner with the words “Pro Women! Pro Choice!” written on it. They were intentionally standing in line with the row of the Lifeline club’s graphic images, with the intent to block the images from passersby. 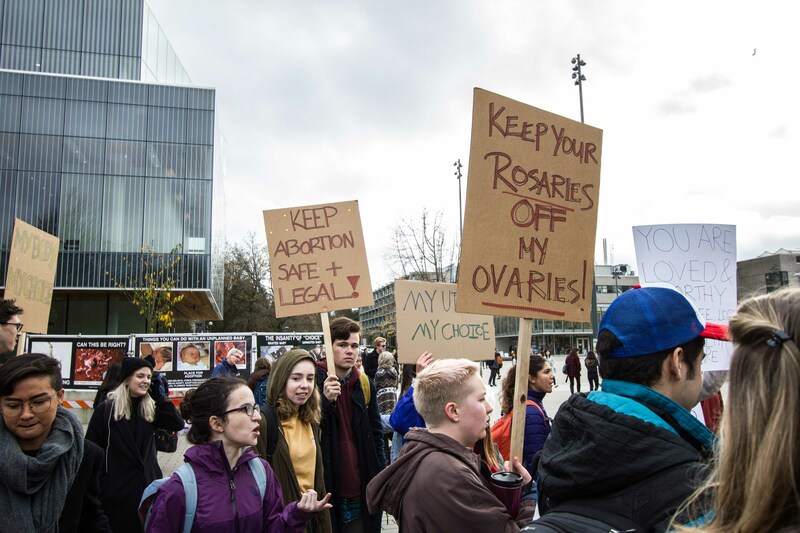 According to a written statement from Susan Danard of UBC’s public affairs department, the pro-life protests are not shut down by the university due to the commitment that the university wants to demonstrate to freedoms of academia and expression. 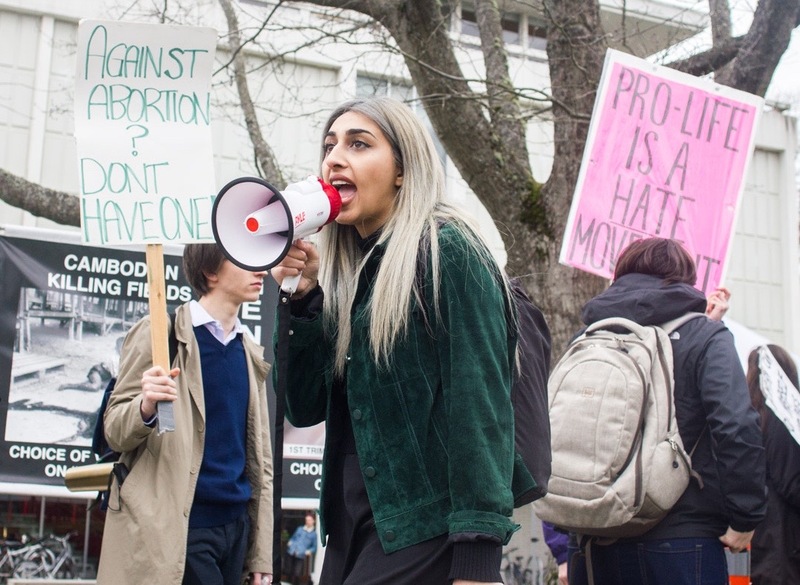 “We just went through [a process] that any other club on campus would and we booked a space,” said De Souza of UBC Lifeline’s process of getting their protest approved. The pro-life demonstrators will be in the same location from 8 a.m. to 5 p.m. until Friday.